Don't worry with the rain and wind on your next trip with our HUGE selection of RV Vents and RV Vent Covers by Rv MaxxAir roof vents. With a LARGE selection of Replacement Lids you need not worry with damaged parts anymore. Our stock of RV Vent Shields offers you double the protection and even less worry. AreoFlo Vents and Vent Covers offer you less noise and more efficient energy saving methods. With easy installation to help avoid frustration and let you enjoy your next RV trip. We also provide a variety of Replacement Lids so you don't worry with damaged parts. With our selection of MaxxAir Vents and Vent Covers you need not to worry with rain and wind while running your Rv air conditioner or furnace. We now have pictures of the vent hinges to help you decide which one you need. Part numbers 311761, 311778, and 312001 all have the correct hinge pictures to help you get the one you need without having to guess. 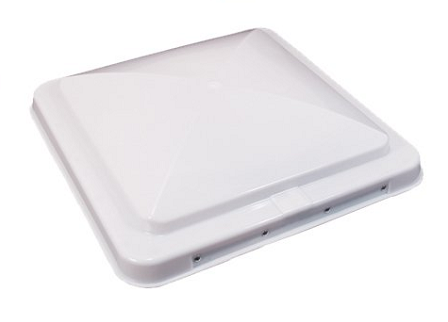 Our RV vents provide fresh air access to the interior of your rv or camper. If you need a new RV vent, a RV replacement cover, or a RV rain cover, we have you covered with a large selection of RV vents and accessories for them, and the hardware you need to install them yourself. Our selection includes: mini roof vent, exit vents, escape hatch vents, remote control vents, reverse vents, thermostat and dome sensor vents, replacement vents, non-powered vents, roof vents, and various colors of these vents to match your RV style. Let the light in with an affordable RV skylights made for your RV. We carry various sizes and shapes to fit your RV skylight needs. We offer a HUGE selection of RV vents and vent covers by MaxxAir and AreoFlo. With this selection you are sure to find what you need to fit your RV number .